At first I was confused which pope could it be that has not written any code before. But I quickly realized that the news is about the 266th pope of the catholic church. Of course a lot more popes already had coded before him. Evidently a lot earlier. 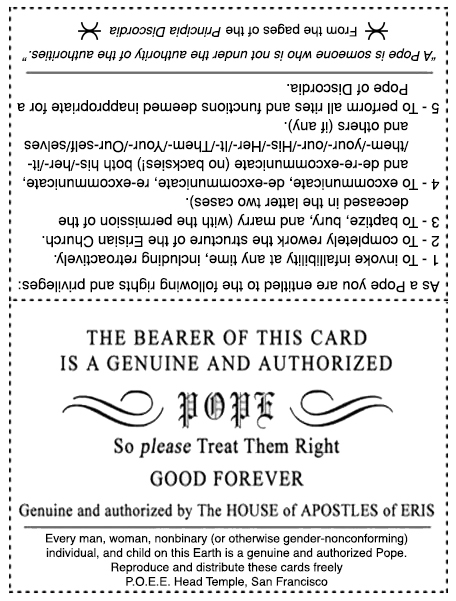 And to complete the circle, make yourself comfortable: In discordianism you are a pope!